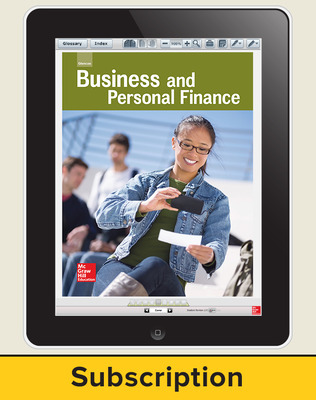 Business and Personal Finance is the market leading financial literacy curriculum that includes all of the content in Personal Finance plus two additional business units. 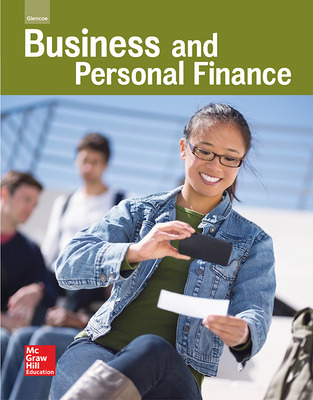 Combined, this program covers important consumer topics including budgeting and money management, banking and credit, saving and investing, strategies for protecting financial resources, and all the fundamentals of business finance, from business ownership and financial planning to the basics of financial accounting. Like Personal Finance, this program is built around a comprehensive, academically rigorous curriculum, with project-based learning and real-world connections to prepare students with the skills and experiences they need to succeed in college-level coursework and the workforce. An economic unit that meets the latest NBEA Economics Standards. Unit Project features involve students in the world of personal finance by challenging them to incorporate the newly-learned material. Point-of-use academic integration and correlation (Science, Math, and English Language Arts) are provided throughout to foster academic excellence. Meets all of the Perkins mandates for rigor and academic integration. Careers That Count! focuses on specific careers that pertain to a topic presented in the chapter; College and Career Readiness provides information about 21st century skills and how these skills will help students in college, the workplace, or in real-world interactions. Document Detective, Reality Bytes, Common Cents, and Around the World chapter features bring clarity to real-world financial documents, systems, and technologies, and describe the financial systems of other countries. 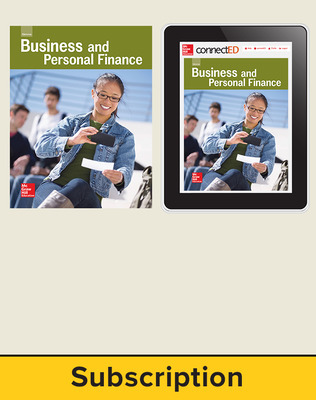 Business and Personal Finance © 2016 features online resources on the MHE ConnectED platform empowering teachers to easily teach program material, manage classroom assignments, and engage students. Teachers can access the student eBook, digital resources, assessment and planning tools in one convenient location. Print teacher editions are available print-on-demand on Create™.